Fantasia International Film Festival is one of the largest and most-influential genre film festivals in North America, a must for Asian-film lovers. The festival has offered numerous Japanese films over the years from old classics to new twisted films. Whether you love gory movies or silly comedies with weird and crazy characters, there is a movie for every taste. This year’s edition offers over 20 films, but these are the five films you should see. Francisco, a Portuguese dandy and scholar, narrates the dark and dangerous story of Torakage (Takumi Saito), a former elite ninja warrior. Torakage, retired from his ninja activities, lives a peaceful life with his wife and their son, while Gensai (Eihi Shiina), a cruel mistress of the Homura ninja clan, dispatches a horde of female warriors to bring Torakage back in the dark and bloody world of ninjas. Yoshihiro Nishimura, a regular at Fantasia, offers a dramatic comedy film about the mysterious world of ninjas and a Japanese story set in the ancient gore-filled period. Haruko (Moeka Nozaki) has always hoped something supernatural would happen to her. Her brother (who was abducted by a UFO) is ordinary in her eyes. A decade later, she zaps and swears at her old television set, which after an earthquake becomes a handsome and shirtless man with a television as a head. She calls him Terebi (Aoi Nakamura), which is the katakana spelling of “television” and they quickly become lovers. Things get complicated when Terebi gets a job as a television show host. Lisa Takeba’s crazy comedy builds off of its ridiculous plotline, which doesn’t stray too far from reality; especially in a world where people are obsessed with their electronics. Ichiko Sakurai (Yoko Maki) is a 30-year-old writer without a fixed job. When she meets a younger man named Ryochi (Yuki Furukawa), it’s love at first sight. Inside her brain, a committee of 5 members control her emotions. Chairman Yoshida (Hidetoshi Nishijima), is the voice of reason; Ishibashi (Ryunosuke Kamiki), the optimist; Ikeda (Yo Yoshida), the pessimist; Kishi (Kazuyuki Asano), the record-keeper and Hatoko (Hiyori Sakurada), the impulsive one. Yuichi Sato brings a quirky Japanese live version of Pixar’s Inside Out. 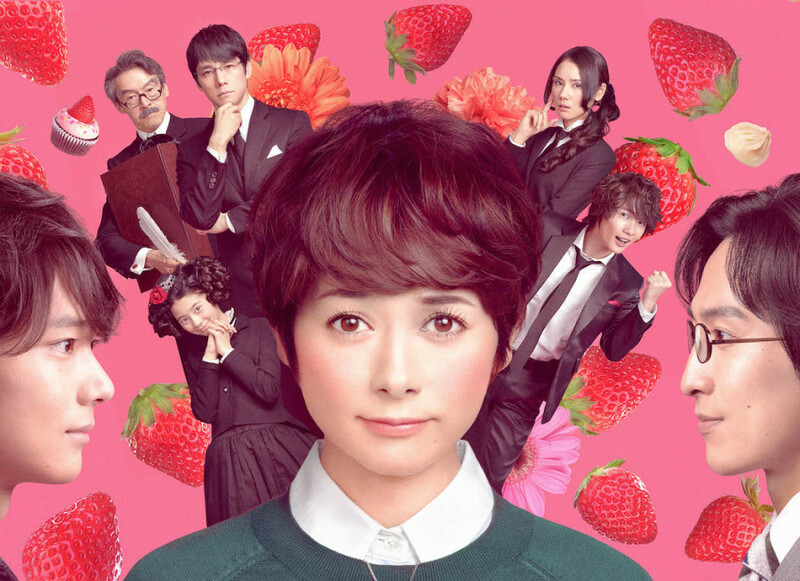 Based on the josei (for mature women) manga series Nounai Poison Berry by Setona Mizushiro, this film is a refreshing story about the emotions that control a person in love. Mitsuko (Reina Triendl) is writing poetry in her school bus when she bends down to pick up a pencil and suddenly the bus is cut in half lengthwise. Ghosts are hunting down female high school students, which leaves Mitsuko and two other students, Keiko (Mariko Shinoda) and Izumi (Erina Mano), to try their best to stay alive in this deadly game of tag. Sion Sono, known for his stories of marginalized young adults in extremely gory situations, is a regular of Fantasia, and his twisted film Love Exposure put him on the international map. The story is based on the novel Real Onigokko by Yusuke Yamada, except Sono changed the targets from people whose last name is “Sato” to high school girls. In a world where titans appeared a century ago, humanity is confined between three great walls. One day, a titan breaches a section of humanity’s outer wall. Eren Jaeger (Haruma Miura), who vowed to eliminate the titans, is part of the Survey Corps: a group of soldiers equipped with gear to defeat titans who devour humans and restore peace. Based on the manga series Shingeki no Kyojin by Hajime Isayama, this steampunk fantasy became one of Japan’s biggest hits and made The New York Times bestseller list. Shinji Higuchi’s live-action film is highly anticipated as the closing film. A second screening was added to Fantasia and sold out in less than two hours.